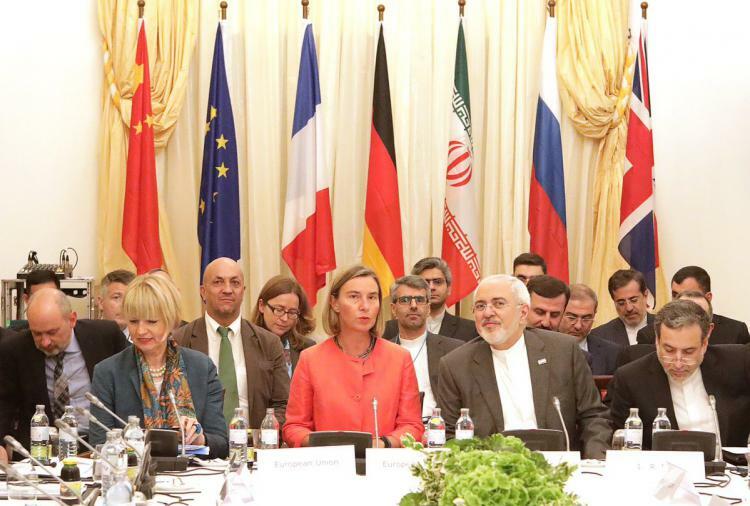 China, Europeans, Russia Struggle to Save Iran Nuclear Deal. “Can the Joint Comprehensive Plan of Action (JCPOA) be saved?” That is the question now being pondered by Iran, the EU, Britain, France, Germany Russia, and China. Foreign ministers of these countries met in Vienna on July 6, 2018 to see what was possible in order to save the agreement. While the meeting was said to be both amicable and productive, no concrete measures were agreed upon except continuing support for the agreement and a willingness to keep working to save it. While both sides to the agreement have a shared common goal, i.e. the continuance of the JCPOA, they have different concerns and opinions about specifics. Iran’s FM has indicated that Iran’s timetable is to get things done before the sanctions are re-imposed. On the other hand, France’s FM, Jean Yves Le Drian, suggested that things might not be in place until November, which is well after the August deadline. Iran seems to have taken a “wait and see” attitude, but it is clear that Iran is focused on getting a real, positive outcome from the other side or it will go its own way. What this all comes down to is how willing and able the signatory parties to defy the United States and the Trump administration. How far can the Europeans go in protecting their companies that are, or wish to deal with Iran in the light of the punitive US sanctions? Certainly current events, like where Donald Trump calls the EU “a foe” or where he insults long-time US partner NATO, will only stiffen the resolve of the EU and France, Britain and Germany to do their utmost to save the JCPOA. “China put forth five propositions in a clear-cut manner. We emphasized in particular that the international rules should be followed and the major countries should have credibility and assume their due responsibilities. The unilateral sanctions should be abandoned because they are counterproductive. All relevant parties should stay committed to dialogue and negotiation and adopt a responsible attitude to discuss the issues of common concern. Trend News Agency reported on July 13 that Japan’s Senior Deputy Foreign Minister Takeo Aikiba said that Japan fully supports the JCPOA and would encourage other nations to do the same. Aikiba’s remarks were made at the reception of credentials of Iran’s new ambassador to Japan. While it seems that only Donald Trump, his steadfast ally Benjamin Netanyahu and Trump’s right-wing supporters are behind the US withdrawal from the JCPOA, the fact remains that the economic might of US sanctions are formidable indeed. It will take some resolve, hard bargaining, and real creativity to save the JCPOA, but the signatories think it is worth saving. Let us hope that they can come up with a workable plan in record time to make this happen. Please let us know what you think about this important issue. The Iran Nuclear Deal – All In Vain? 前 前の投稿: Liu Qing and the Future of DiDi Chuxing. 次ページへ 次の投稿: Soybeans at Center Stage in US–China Trade War.